We were proud to provide many of our 2018 award winners with a ceremony at the Sherman Oaks Film Festival. 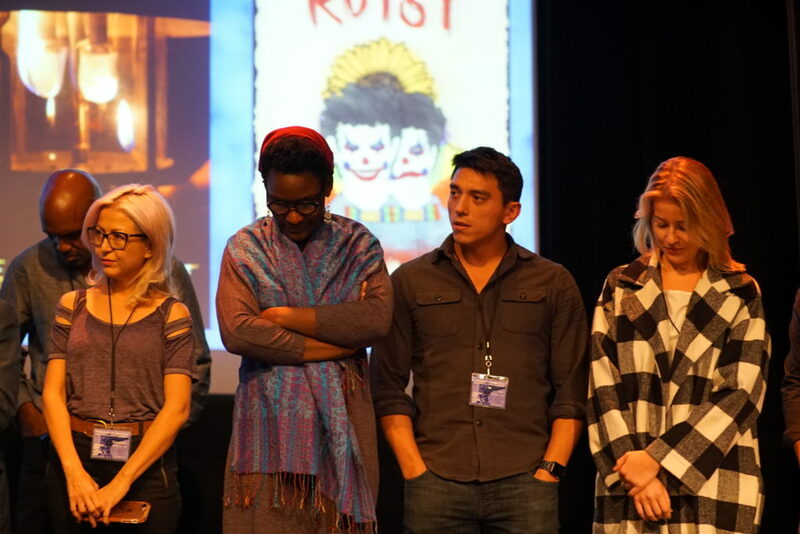 Each winner (who wanted to) got to go onstage and talk about their winning screenplay. And of course our friends at SOFF got pics of our winners on the red carpet. Click Here or on the photo below to be taken to the photo album from the Awards Ceremony.